Cooperative staff act as butlers. 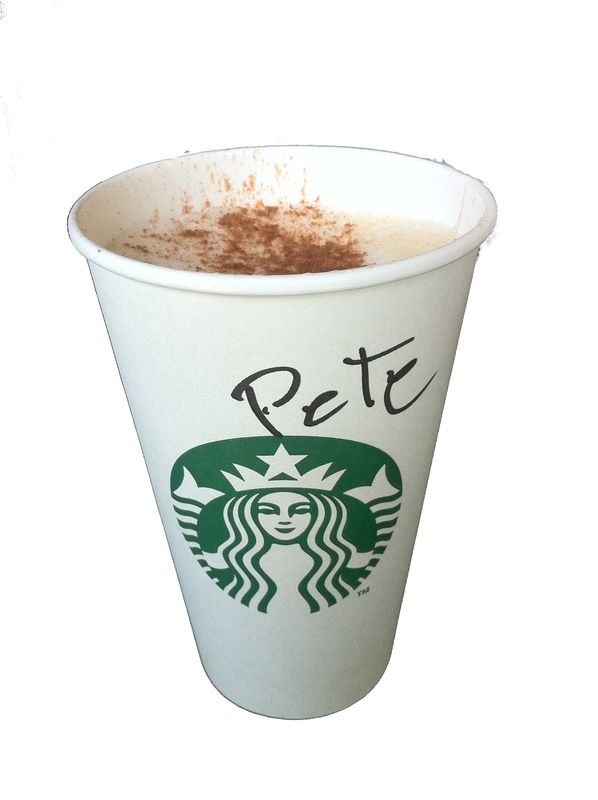 A grande skinny cappuccino with 1/2 pack of raw sugar and a light sprinkle of chocolate powder doesn’t raise an eye brow. Not great – but good. I like to buy coffee there because it’s helps those people. Every cup is made from some thing recycled. Every cup asks me to recycle. Clientele cradle their cups while debating in delicate dialog. Laptops glow with enlightenment to the wi fi set. Yes, I order my brew while mingling with intellectuals. You walk away feeling honorable. and all the while sustaining the earth. I do derive pleasure from Starbucks. gratified I saved the earth. Gratified I helped the hungry. the beggar at the curb. Why not recycle his life with gentle words and deeds? but the beggar begs to differ. Starbucks caters to the ME in us, not the WE in us.